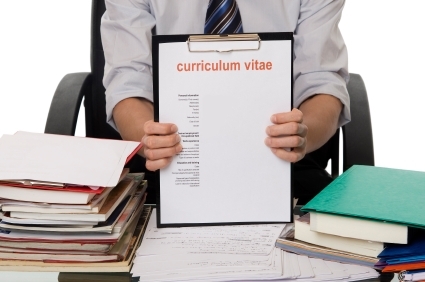 CV or Resume – which should you go for? It’s a common question asked of career consultants. Should you go for a CV (2 page) or a Resume (1 page) style? Well the answer, as always in job hunting; it depends on your market. The traditional two pager is best used for applying to advertised jobs. And it’s never really a good idea to go over two pages – unless they have asked for a full biographical CV. Even if you’re applying to a job where it’s important to say, list lots of publications etc., try not to let your CV go over two pages. Have your publications, clearly laid out, on a separate sheet to be sent with the CV. If you’re thinking if moving out of academia it’s worth checking the ‘norm cv’ for your chosen industry with a careers consultant. Quite a few non-academic jobs do favour a shorter resume style. If you’re applying to a job in say, investment banking, a one page resume is really your best approach. There’s also the question of grabbing attention quickly. So if you’re applying speculatively, again a one page resume is a good idea. An unsolicited CV landing on a desk is more likely to get attention if the person reading it can access the information easily. If its long and complicated looking, it might end up in the ‘I’ll get back to this later…’ pile. It really is a case of less is more. The one page forces you to be brief and focussed. So if you go with it and want to hit the right note with your prospective employer, your one page resume needs to really show them how you’d fit in and make a contribution. You’d need to strip out all the stuff that doesn’t match up – no matter how interesting you think it is – will they, is the question to always have in your mind. It can be hard to prioritise, and I’ve seen one page resumes still try to fit it all in. They’re written in a tiny font and just looked busy and crammed. It’s not a good look and doesn’t really show your ‘highly effective written communication skills’ you’ve mentioned. But a well crafted one page resume can really market you well. Most employers want to see what you’re all about in the shortest amount of time. If you’re thinking of a résumé approach for academic jobs then think about all the good stuff you want to say about yourself, see if you can reduce this to a page. Then list all your research publications on a second page if need be. Either way; CV or resume – think of your market and how best you can showcase and target your skills and experience to that.